SENSEN-North America (SENSEN-NA) continues to expand its complete strut assembly (CSA) coverage with the release of 70 Speedy Struts, including CSAs for the 2013-’15 Nissan NV200. 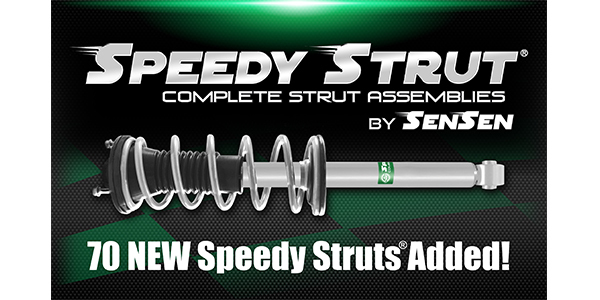 Other newly released Speedy Strut applications include, but are not limited to, the 2006-’10 Dodge Charger, 2009-’18 Infiniti G37, 2007-’10 Jeep Compass and 2010-’12 Subaru Outback. 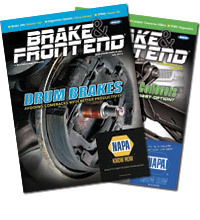 These CSA applications cover more than 6.7 million VIO repair opportunities. Additional import and domestic applications will be released in the 2nd quarter of 2019. For more information about SENSEN, visit sensen-na.com. Contact the SENSEN sales team at (877) 395-0213.